Performance Plus Series 4 in Caster Kit (4 Pack) Add mobility to your Performance Plus Base Cabinets with these handy casters. Create your own moveable work table, so that you can take your tools with you, no matter where you need them. Performance Plus Series 4 in Caster Kit (4 Pack) is rated 3.5 out of 5 by 4. Rated 3 out of 5 by flyhard from Very expensive for the quality that you receive. Did not come with the cabinet that I purchased. Very expensive for the quality that you receive. Did not come with the cabinet that I purchased. Rated 5 out of 5 by Chuckles from Quality Product This was cheaper than could be found on some other sites. 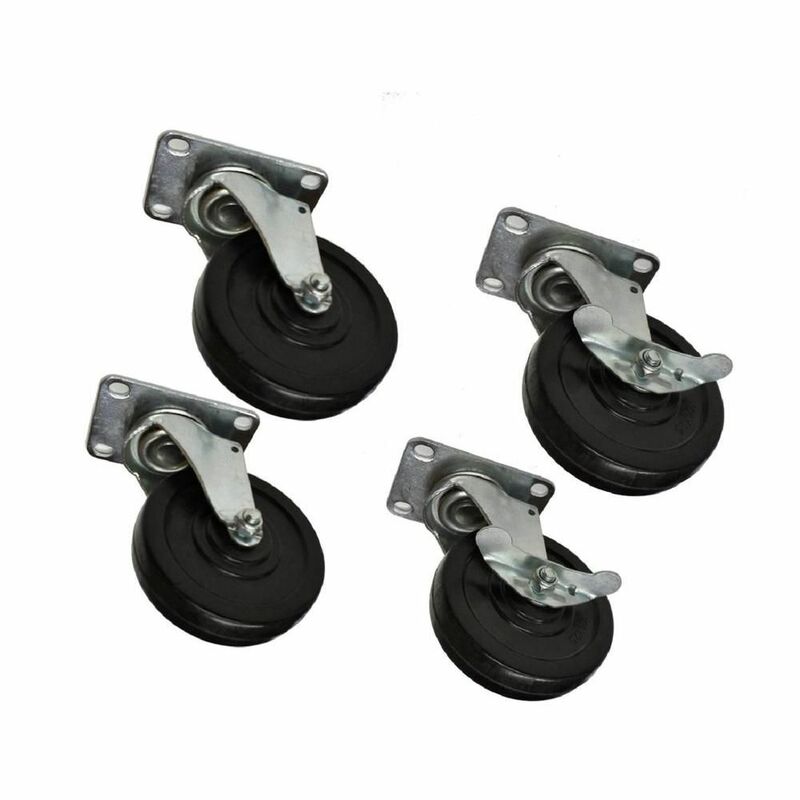 The casters roll well and work as desired. They mount directly to NewAge Pro Base cabintes. Rated 5 out of 5 by Neatnick from Castors The castors are a nice addition to the garage cabinets as it allows the units to be moved for cleaning. I highly recommend them! Rated 1 out of 5 by Handyfan from Mismatch to Cabinet What they fail to mention in "customers who bought this also bought that" is that customers who bought that probably returned that. I shopped extensively for garage storage, preferring good capacity but also something mounted on wheels, but all of the wheel-mounted large cabinets I found had shelf weight limits around 50 pounds, which I consider a joke for metal cabinets. So I settled for a New Age cabinet on feet with 150 shelf weight limits. I went to check out and found casters by New Age in the familiar, "customers who bought this also bought that". I added them and checked out. Received cabinet and casters. The holes in the casters didn't align with the predrilled and tapped holes in the cabinet. So I mounted the cabinet on the feet and returned the casters. But they really were very nice casters . . .